In my previous post on this case, I summarised the judge’s findings as to why this Planning Inspector had gone wrong at the wind farm inquiry. The Inspector turned down the appeal because the positioning of individual turbines might lead to damage to deep deposits of peat found on this site. The judge, Beatson J, thought the inspector had not explained his reasons for his conclusions in sufficiently clear a form. Nor did the Inspector give the wind farm developer an opportunity to deal with his concerns. So said the judge. But the Court of Appeal disagreed – showing how it is not easy to “call” the merits of these reasons challenges. One issue before the Inspector was whether the construction of the wind farm in the peat would be likely to have a significant effect, taking into account mitigation measures proposed by RWE. RWE’s experts said that the peat deposits on site were minor. The Countryside Council for Wales (the Welsh equivalent to Natural England) made written submissions to the inquiry disagreeing with this, but did not attend. RWE’s experts carried out further investigations and found rather more peat; but they still said that the anticipated effects of the development on the peat were of minor significance, but advanced additional mitigation measures in the form of floating tracks plus the appointment of a project ecologist and project hydrologist. The Inspector concluded that there would be a significant degree of impact on the peat deposits. He reached this conclusion, “having regard to the appellant’s evidence…and from my own observations on site. In my view the risk of an unacceptable degree of harm to the peat habitat is sufficient to justify refusal.” The Welsh Ministers simply agreed with this conclusion. The judge stressed that reasons need only to be stated briefly, and that the courts should be astute not to read an inspector’s decisions like a contract or a statute. Nor should a reasons challenge be a disguised attempt to revisit the planning merits  – a challenger can creep imperceptibly from contending that “the reasons were expressed inadequately” to the rather different claim that “there were no good reasons anyway.” But a coherent reasoned opinion expressed by a suitably qualified expert should be the subject of a coherent reasoned rebuttal, unless it can be discounted for other reasons. And such a reasoned rebuttal could not be found in the inspector’s report, so the judge found. inclined to the view that because…there was nothing to alert the claimant or those witnesses to the Inspector’s doubts about that evidence, it was procedurally unfair not to alert the claimant to those doubts. 16. The Inspector had before him the written and oral evidence of the respondents’ experts and the written submissions of CCW. As the respondents recognised, the central question for the Inspector was whether the particular harm, or risk of harm, associated with the development was sufficient to justify refusal. They accept that the Inspector needed to ascertain the degree of harm the project would cause, taking into account the proposed mitigation measures. Their submission is that this was not a value judgment but a discrete technical issue, outside the Inspector’s expertise, which he could only resolve by reference to the expert evidence before him. I agree that expert evidence required careful consideration but I do not agree that the Inspector was bound to accept the opinion of the respondents’ experts or that he was disentitled from making his own planning judgment as to whether the effect on the peat bog habitat was significant. The kernel of the case is in this passage. Inspectors are not ecologists, but nor do they need to be to reach planning judgments about the significance or otherwise of what the ecologist had said. Hence they can disagree with an assessment of this sort by an ecologist that the development would have minimal effect. The developer’s expert, Mr Woodfield, thought that the effects on the peat was minimal. 20. In his conclusions, the Inspector obviously had in mind the small area involved, both in absolute and percentage terms. He referred to a minor redesign likely to remove the impact on the relevant peat deposits. 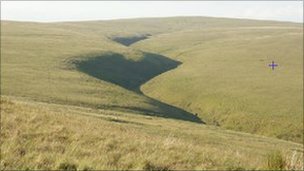 The geological plan…..showed clearly and in detail the location of peat deposits of varying depths at Mynydd Y Gwair: greater than 300mm, between 300 and 600mm, between 600m and 1,000mm and greater than 1,000mm. The Inspector regarded, and said he regarded, the location of the site at the extremity of the peat deposit in South Wales as giving it greater importance….. I find nothing in that conclusion of Mr Woodfield which demands reasoning beyond that provided by the Inspector. 22. The judge has not based his findings on the inadequacy of reasons upon the detail in the paragraphs cited to us. The judge has stated only a general conclusion, at paragraph 43, that the respondents “did not know why the Inspector rejected the views of Mr Woodfield and Dr Young”. He has made little reference to parts of the respondents’ evidence, or the detail contained in it, which, in his judgment, should have been dealt with specifically. Having been referred to the detail, I am unable to identify points which required specific treatment the absence of which rendered the Inspector’s reasoning inadequate. On the detailed analysis to which the evidence has been subject in this court the need to deal with it in more detail does not arise. …. So some ironies, here. The judge thought the Inspector’s reasons were not good enough. Though phrased rather politely than this, the Court of Appeal in effect thought that the judge’s reasons for demanding more reasons from the reasoning of the inspector were, wait for it, inadequately reasoned. So the appeal was allowed. 33. Of course, if the Inspector had given an indication during the witness’ evidence that he accepted Mr Woodfield’s opinion or if he impeded the presentation of the respondents’ case, the situation would be different but, in present circumstances, he was not required to tell the witnesses that he might not accept their opinions. That was, or should have been, obvious and the respondents had every opportunity to put their case to him and to put on it the best face they could. The Inspector had to make a planning judgment and the respondents knew he had to make a planning judgment. I find no procedural unfairness. Elias and Pitchford LJJ agreed. So back to the drawing board for the developers. But we should not assume that the unspoilt views on my image and the snowy vista heading up my previous post will remain so. The principle of placing wind farms on this wild stretch of land appears to have been accepted by the Inspector. But the turbines must avoid being placed in deep peat. What can an environmental tribunal do?